How to install and transform a room with peel and stick tiles! A spur of the moment kitchen update got kicked into high gear when I stumbled upon an awesome product, peel and stick adhesive tiles from Smart Tiles. Have you all heard of them? 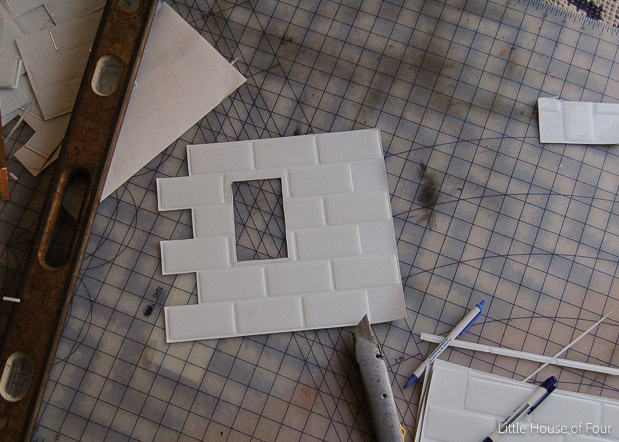 They aren't real tiles, but a peel-and-stick alternative that look just like real tiles. Believe me, I had absolutely zero plans to update our kitchen. We're currently saving for an extensive kitchen renovation and spending money to update our current space seemed like a waste of money. That was until I got the urge to paint our dingy, chipped base cabinets. It was a spur of the moment decision I made while my husband was out of town. Of course, one thing always leads to another and painting the cabinets got me thinking about adding a subway tile backsplash. I've installed tile before and knew I could do it, but didn't want to go through the trouble of renting a wet saw, buying grout an adhesive and making an absolute mess in my already messy kitchen. 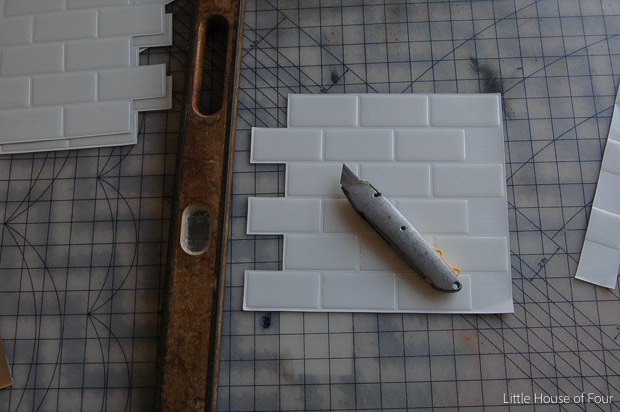 I started looking into other options, which is when I found peel and stick subway tiles. Believe me, I was skeptical about using peel and stick tile and was convinced they would look cheap. I ended up going to Home Depot to check out their selection of Smart Tiles and was amazed at the quality. They are made of a gel type material that gives them a 3D appearance like real tile. 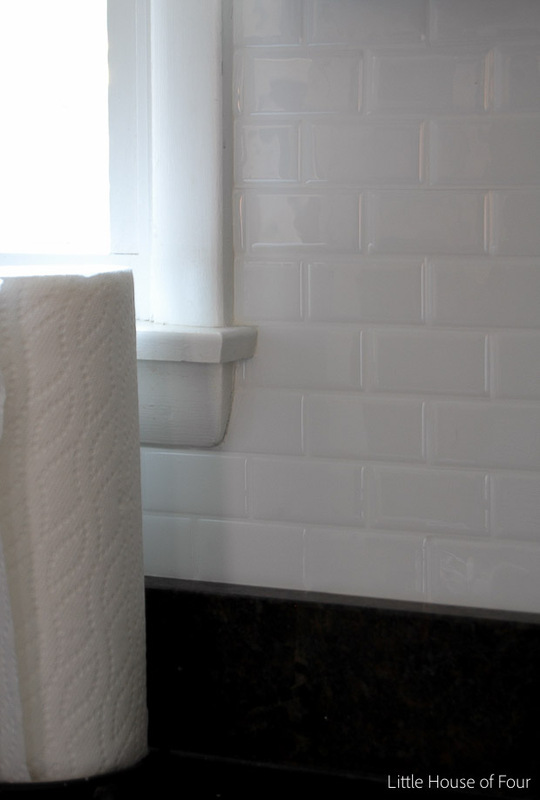 Ultimately, I decided to give them a try and went with the white subway tile. Keep in mind these tiles are MUCH smaller than normal subway tile. 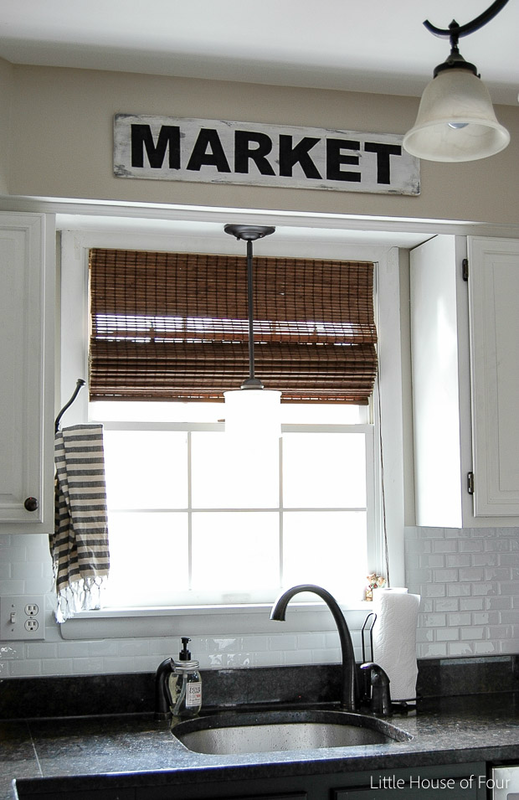 If you are looking to mimic true subway tile they won't give you the exact look, but will still look amazing. The only supplies I used to "install" the tiles were a cutting mat, level (for a straight edge), laser level and a razor blade. You'll want to make sure you use a new blade to keep your lines as straight and crisp as possible. I found it easiest to start at the corner of the wall, cutting off the left side of one sheet where the tabs stick out. I am very much a perfectionist, so it took me a few tries to get the first sheet exactly where I wanted. Lucky for me the tiles are easy to peel off if you make a mistake and need to readjust your sheets. Once I was happy with the placement of the first sheet the rest of them went up fairly quickly. My laser level made it super easy to make sure my lines were straight. I wasn't too concerned about the corners since I planned on caulking them anyway. Once I got to the outlets and window ledge, I just measured where I needed to cut. 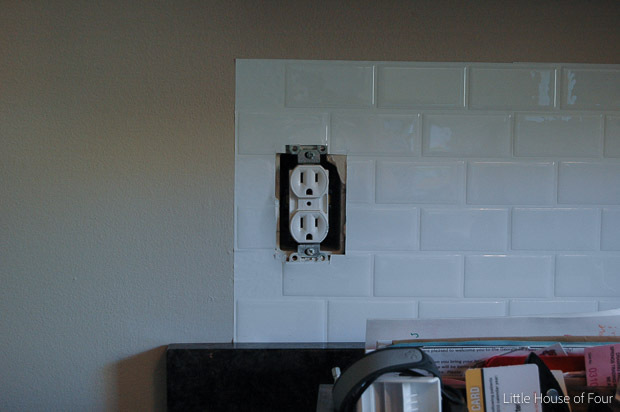 The great thing about these tiles is there's no need to extend your outlets. Your outlet covers will still screw on as they did before. After I had all my tiles installed I caulked the seems in the corners, around the window frame and where they met under the cabinets. It gave them such a clean and finished look. Don't they look real? I was SO skeptical at first, but these tiles are amazing! They really do look real and are PERFECT for a quick and inexpensive update. The best part is that I completed this project in one afternoon while my husband was at work and the kids were at school. I've had them installed a few weeks and even after whipping them off many times I've had no issues with them peeling. I'm pretty confident they'll hold up just fine in my abused kitchen. And what makeover would be complete without a before and after photo? If you're looking for a quick update and don't want the mess and fuss of tile you must check out smart tiles. They do peel a bit of paint off the wall, so if you plan on using them in a rental please check with your landlord first. UPDATE: You can read all about how the tiles are holding up three years later in this post! So gorgeous! They look like a million bucks and like real tile! You did a great job installing them and not letting the seams show in between sheets. Did you caulk all the seams? Thanks Samantha! I was amazed at how much they actually look like real tiles. I only caulked the corners, around my window and where the tile meets the bottom of the upper cabinets. The tiles overlap from one to another so there is no need to caulk between sheets. If you take your time and install them correctly it's almost impossible to tell where one sheet stops and another starts. It's amazing! WOW! What an incredible transformation! And who knew it could be so easy?! It looks amazing Katie!!! Awe, thanks so much Kristi! No way!!! Those look awesome and I prefer them over grouted tiles! I know, right? You can't even tell they aren't real tile, amazing! I have never heard of smart tile before. I'm going to look into it for our next tiling project. You really should check them out. They have so many different colors and styles. Thanks Sheila! 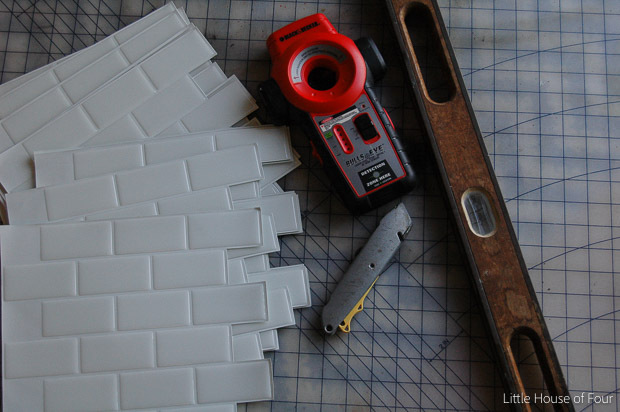 It's a great alternative if you don't want to go through the mess of real tile. Thanks so much Emily! It's amazing how much they brightened up the space. My tiny shoebox of a kitchen actually feels a bit bigger too. Never would have guessed those were peel & stick. What a difference they make in your kitchen! Thanks Karen! It's definitely hard to tell the difference that's for sure. It GORGEOUS!!! You did a great job, the whole kitchen is perfect!!! Thanks so much Leigh Anne! This look great and would work wonders in a rental! Yes, It would be prefect for updating a rental! They seriously look so good! I still can't believe they aren't real tiles! I would love a lighter color backsplash in our kitchen but I don't think I can do it. You've given me a lot to think about it. This is gorgeous. Thank you! These tiles were so easy to install. Just take your time to make sure everything is level and they'll look great. You can totally do it! 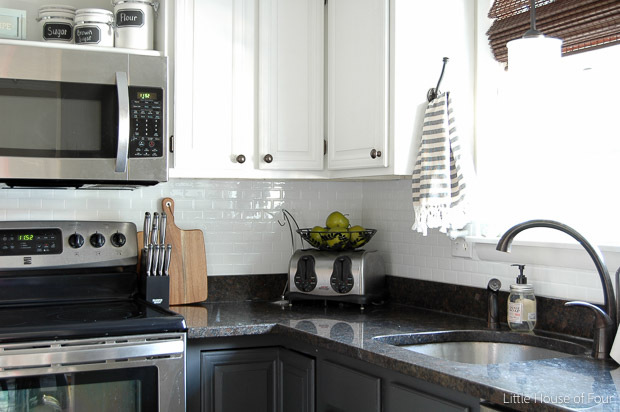 I have been thinking about doing something to my backsplash area and I love the look of the subway tiles. I have a small kitchen and like the thought that the smart tiles are smaller than the regular subway tiles. I think it would fit better (size wise) in my kitchen. Thanks for your post!! You're welcome Roxanna! I have a small kitchen and the size was perfect. I think they would look great if your kitchen is on the smaller side as well. Can you install over existing tile? Yes, you can install them over existing tile! That is GORGEOUS! I have been thinking on what type of back splash would fit my kitchen and I LOVE how yours turned out!! My kitchen is about the same size as yours from what I can see, how much would the tiles cost in total to do your entire kitchen project? Hello DIY'er, It depends on the surface you have to cover and depending on the model you want. It starts at $7.48 to 8.98$. Some models are in promo right now. Visit our site for more details. Thank you! This is exactly what I need, well I need to paint my cabinets too but that's a different story. Are these expensive or pretty affordable? They look gorgeous in your kitchen and you made it look so easy! 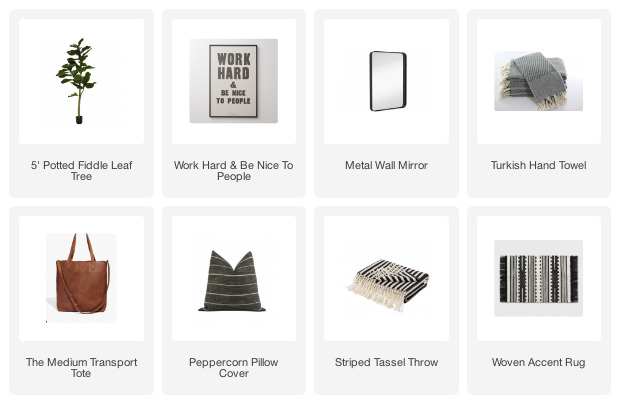 I have been looking at Smart Tiles for several months to redo my fireplace surround. However, the cost is limiting. I measured and it's about $100+ JUST for this very small space. It's not expensive compared to other renovations like real tile but just in comparison to my budget. 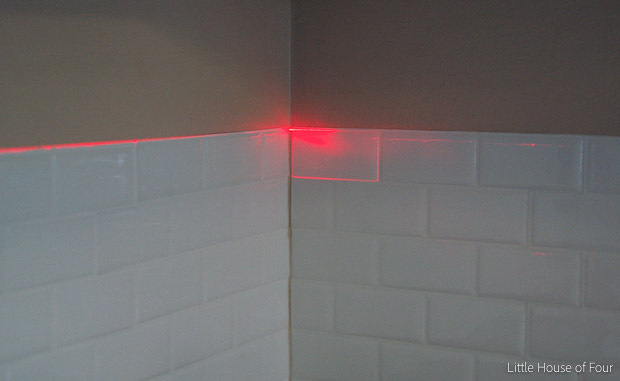 If Smart tiles are in your budget though, I say you can't go wrong with them!!! They can make a huge difference. Beautiful. This is the look I have been wanting for my kitchen. I will have to check these out. 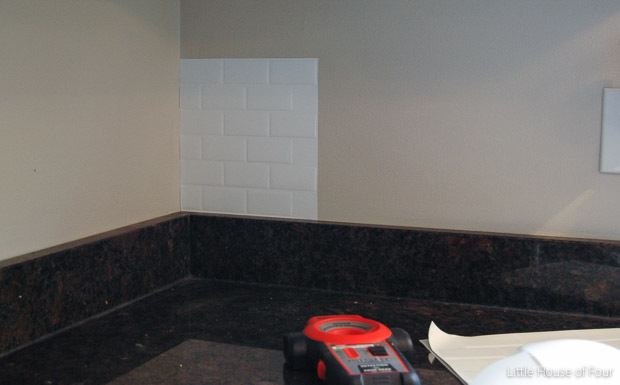 How did you finish the edge at the end of the tiles when you got to the end of your counter tops/cabinets? Hello Jenny, we now have Smart Edge available. It's a peel and stick finishing edge. We have two models available, one in silver and one in bronze. Please don't hesitate to contact us with any questions: quinco@thesmarttiles.com or 1-877-784-2733. Thank you! My mind has been officially blown! This is just too darn cool. I have the perfect place to try this. I'm thinking in one of my bathrooms!! FYI, my kids are currently napping and all I want to do is wake them up to go to Home Depot. Yeah. I'm THAT excited. Great job!! Love, love, looooove it!!! I love it Katie! And your kitchen too! 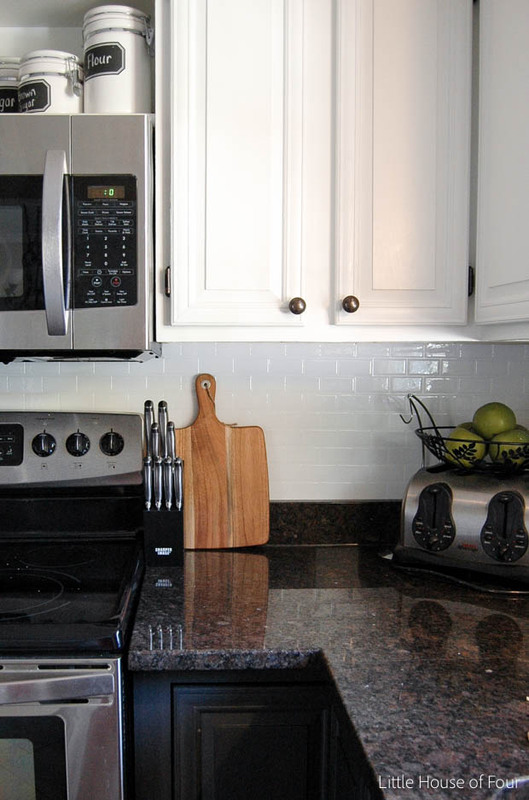 We're saving fir a big kitchen reno too.. thanks for sharing about these tiles! Are they half the cost or less? You could go nuts with this stuff.. You may have found my Christmas gift.. oh hubby!!! Finally getting a chance to take a look at your kitchen update and I am SO in love!!! It looks fabulous Katie!! The painted cabinets are gorgeous and those faux tiles are AMAZING!!! 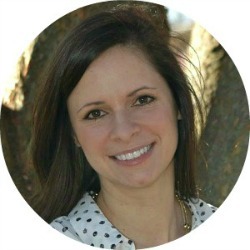 I saw your link on Thrifty Décor Chic and so glad I clicked over! I am so totally going to try these. Do you mind sharing your bottom cabinet paint color? I love it! Thanks so much for stopping by! The bottom cabinets are painted in Sherwin-Williams Iron Ore. It's the perfect deep gray and it's the same color that I painted my interior doors. Where did you purchase the Smart Tiles? I got them through the Smart Tiles website, Thesmarttiles.com. You can also get them at Home Depot and Lowe's. We used them recently in our kitchen Reno... we love them!!! My Smart Tiles have been up for almost 2 years now and they are still just like new! Even when I get around to my kitchen gut for new reno, I still plan on using these again! Very cool. I am looking to do this in my kitchen and found your pic on instagram. Perfect cut around windowsill, how did you do it? Wow that looks absolutely smashing!!! Omg, thank you for sharing this with us. Now I know how beautiful my kitchen will look after we install our white cabinets. 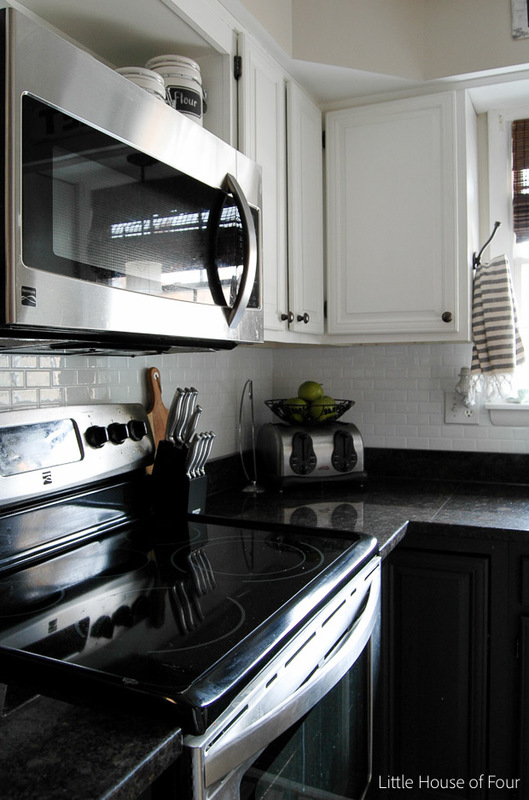 Love the easy backsplash and I don't have to worry about grout anymore! This is looking really beautiful. I am also planning to renovate my kitchen and I think this is the best option. I'll definitely go for it. That looks pretty amazing, Katie! It sounds like just the thing for me for our kitchen, too. I know that at this point in our lives (empty nesters in a condo) my husband does not want to deal with the installation of tile. He did our previous homes so he knows the work involved! I think this is something I could actually do myself. After a year, how has it held up? This looks amazing and promising...are they still holding up? I'm definitely trying this! It looks fantastic! I hope mine turn out as well. 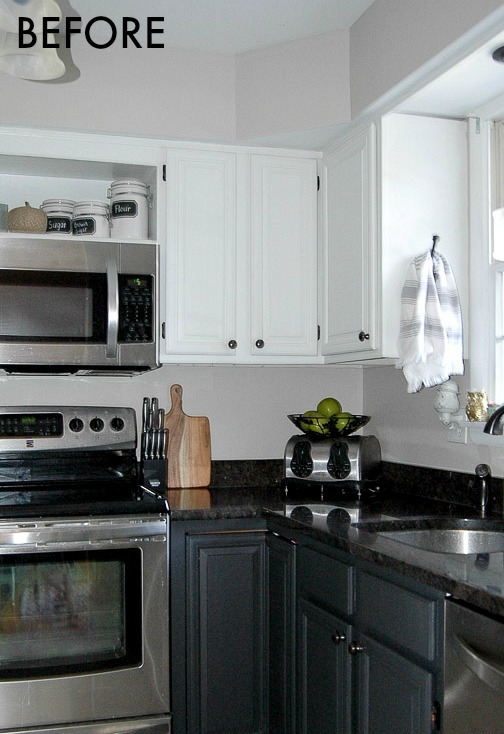 Also, what is your wall (above top cabinets) paint color? I have been looking up Smart tile for a few weeks! I live in a small town and looked around for different options as well as online. You just convinced me to go with these exact ones that I saw at Home Depot. Hopefully they turn out as great as yours did!